Welcome to The Green Asian Apron Giveaway!! If you work in the kitchen a lot, you know aprons are a must have to keep yourself clean. If you're a kitchen enthusiast, you probably already have a great apron collection, but you know, it's never too late to start, right?! :D The Green Asian has some awesome aprons, and one of you are going to be lucky enough to win one! Good Luck everyone :)!! "Keep yourself clean while cooking and cleaning with a beautiful apron from The Green Asian. It works for all sizes and it is easily adjustable! Made well and stylish too, one lucky reader has the chance to win one apron of their choice! If you would like to see a full review of The Green Asian aprons, you can do that HERE. More Than Mommy received an apron is exchange for this review, and all opinions expressed may vary from your own. Rats and More is not responsible for prize shipment. This promotion is not affiliated with Facebook in any way. The winner will be given 48 hours to claim their prize, or another winner will be chosen. All entries will be verified. I would like the Kitchen Full Apron // Larkspur Field of Flowers. That is strange. It's not showing up for me either. Maybe RC is having some temporary problems. If you click on the "A Rafflecopter Giveaway" it should come up in a separate window. I would pick the Apples and Pears one. 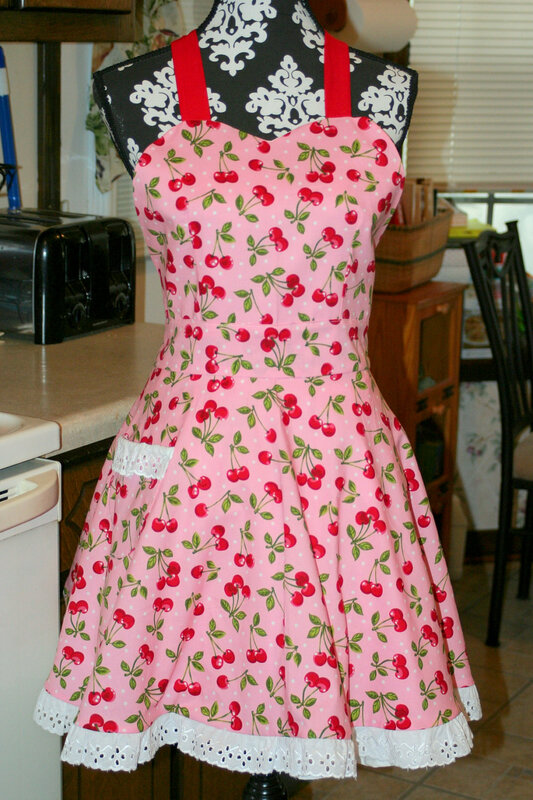 I really like the Sassy Full Apron // Skulls, Crossbones, and Bows in Pink. I just love the the Happy Gnome Village in the full apron sets. 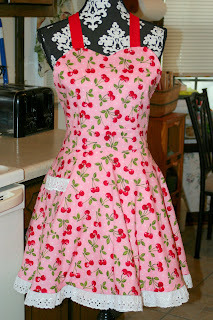 I would choose the Sassy Full Apron // Cherries and Polka Dots.